It's the mad rush before Christmas. Whilst most people are ferociously wrapping, downing baileys and banging chocolate oranges on hard surfaces - I'm actually having a moment of wanderlust and planning my travels for the beginning of 2017. 2017's New Years Resolution? Travel More! The new year brings with it an opportunity to create some amazing memories, and for me travel has always been a huge part of that. I like to plan out the places that I would like to see, and research the hell out of each destination. Planning future travel is my favourite way of getting through a miserable January, or better yet - taking an actual break early in the year really gets things off to a good start. Ive teamed up with Liverpool John Lennon Airport to share my top 3 City Breaks, and to share with you their new destination guides. Having destination guides on site is so awesome and makes planning a trip so much easier. You could even use them to inspire you and help you to choose your next holiday - The destination guides can be found >here<! I couldn't not include one of my favourite cities in the world, Paris. 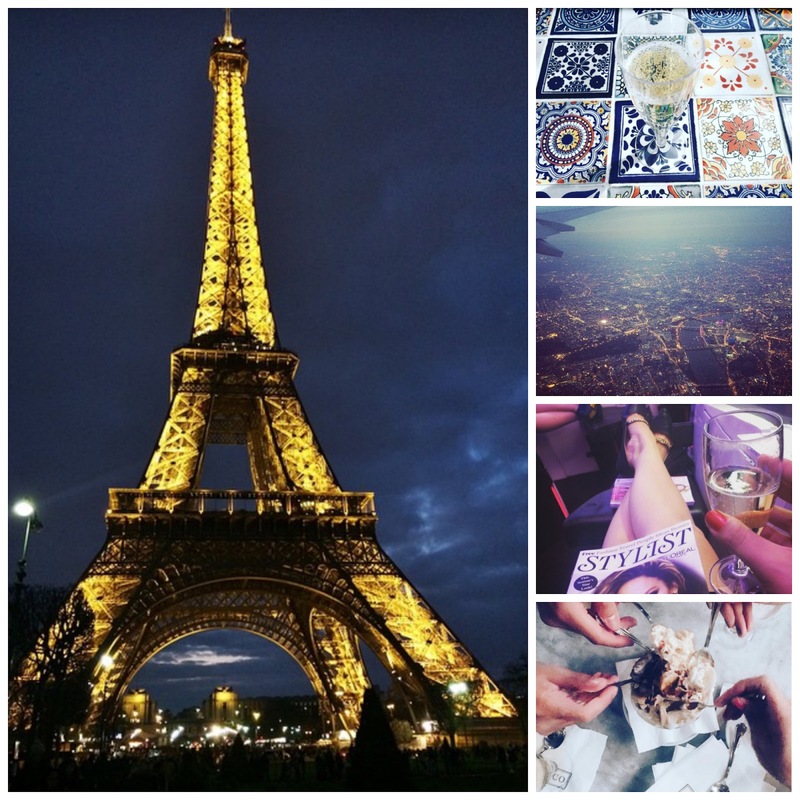 Who doesn't love Paris? I actually only first visited Paris a couple of years ago. Being a flight attendant, people always assume that I've pretty much seen the entire world (totally not true!) but Paris was one of those destinations that had eluded me, even though it is so close to home. My first time visiting did not disappoint. I visited with my girlfriends and we spent the entire day taking in the sights - the beautiful Eiffel tower literally sparkles at night, it is truly incredible to see. We ate cheese, we ate bread, we even ate snails (surprisingly yummy!) - and of course, we drank wine. We drank a lot of wine. Being in Paris is just magical, and theres something about it that makes you feel so sophisticated and fancy. 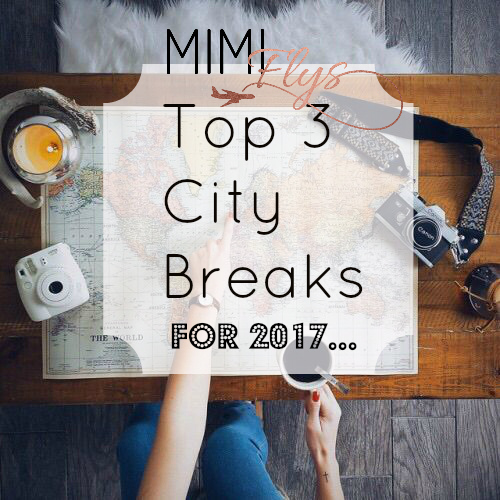 As a fashion and beauty lover, it really does encapsulate all that I love in one place, and I think it would make the perfect city break. It could even easily be done in a day, like I did! I hope to visit again in 2017! Every year I travel to Palma with my Boyfriend, who has been visiting the beautiful island since he was a child. Its a real home away from home, and we enjoy exploring the surprisingly beautiful town with its cobbled streets and impressive architecture. Its the perfect city for wandering - taking in the sights, the beautiful Mediterranean sea and seeing where the day takes you. Its a foodie's dream, with the cutest tapas restaurants hidden away down little side streets, where you can sit in the sun, drinking sangria and eating bacon wrapped dates! My favourite! Its also great for a girls weekend away, with gorgeous beach bars and clubs, like my favourite Nikki Beach. You can dress up in your best bikini's, hire a cabana and spend the day listening to chilled out music, drinking champagne and dancing the day away. Here's a few photo's from my trip last year. I am currently writing this blog post from my hotel room in L.A, so what better place to add to my top 3 city breaks. California has sunshine all year round, so the new year would be a brilliant time to visit. Flying all the way to the west coast of America might not be everybody's idea of a 'city break' but by being able to access the far flung destinations so easily now using your local airports, I can assure you theres plenty of time to see the sights and soak up the Cali sun. Los Angeles is a wonderful city that has something to appeal to all - beautiful beaches, wonderful seafood and sushi, amazing beach bars and nightclubs. The Hollywood homes tour is a must for the celebrity obsessed, and Rodeo Drive has some of the best shopping you'll ever experience. You will love it. (Your bank balance however will not). Or why not hire a Mustang and do the famous Route 66 Road Trip, stopping off for an 'In-And-Out Burger' along the way. Malibu, Santa Monica and Laguna are must see's - and one of my favourite activities is to treck up to the Hollywood sign at sunrise - Starbucks in hand. Where will you travel to in 2017?